Endless sound records was born in 2008, I created this structure because I could not find a label to produce my projects: Endless agony, Gergovia, Imperial. 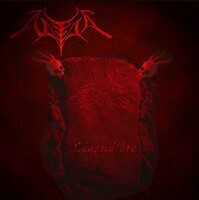 I therefore embarked on the production; I took the opportunity to produce two other bands: Altair and Codex Inferis. I’m alone in ESR, it’s a very small structure and it’s very hard to work in this time where the business of music is so sad. I promote all style of metal, but my first productions are essentially black metal. The most important release of the label was undoubtedly Imperial "De haine et de souffrance”, this is certainly one that is best and most sold, then the albums of Gergovia. All are still available on the label catalog. Just send me a demo to the address indicated on the label's website, or send me an mp3 of the album to be produced, it is necessary that all bands know that their music I will listen with interest and they will be answered, even if not, they will have an answer, I do not like those same labels that allow small groups to snub thanks to which they live. Sincerity is the most important thing, no bullshits, the bands know of ESR is a very small label, and I cannot offer a great deal with us, just a small production with a small distribution, which allows them initially to become known through ESR, and after then find better, I hope for them anyway. I do not expect anything special, I live from day to day, and with the record market that is still doing worse you should see the short term. I just try to do my return and I confess that it is currently not possible, so I invested my own money in this adventure that's why I cannot product bands. But I do it with passion and that's what counts. Thank you so much for your questions and black regards, Fred, ESR.